How to Preview a email before sending it. How do i delete an email from the list? The Email Creator allows users to send invitations and personalized emails to your invitees, attendees and also to custom lists of people. Define the email design such as, message content, typography, images, layout, buttons, social networks, footer, background colors and margin sizes. 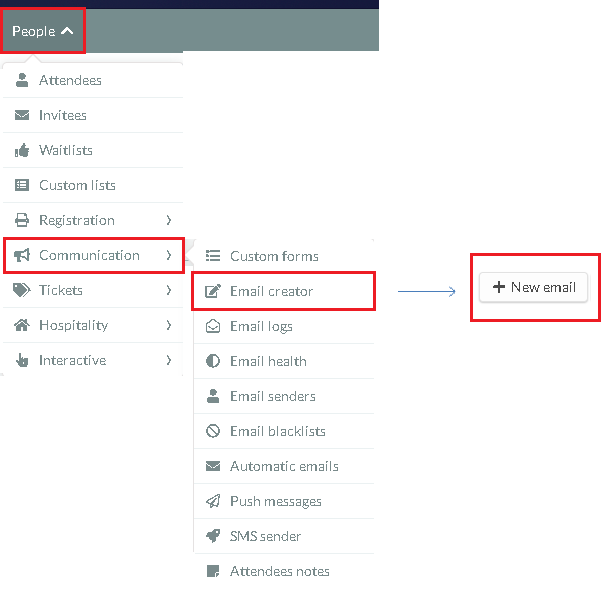 To create a personalized email press 'PEOPLE' > 'COMMUNICATION' > 'EMAIL CREATOR' Then in the top left corner press the ' +NEW EMAIL' button. Enter the email subject, then choose a 'Template' press the blue 'CREATE' button. After adding the subject of your email and choosing the email template, you will be directed to the design and customization page of the email. The first step is to define the design (title, text, typography letter size and format, image inclusion, social networks, footer, dynamic links and dynamic content, background colors and margins. An edit box will open up on the left side. Here you can enter your 'Dynamic content' which contains either information about your event or information about a person. You can add 'Dynamic links' for example your website, registration form, download page, and account page. 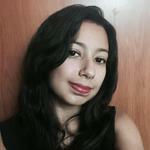 Also you will be able to add images, tables, links, forms and edit the format of the email. Once you have finished editing the email, click on the 'TARGET' button. Next you will need to choose the recipients of your email in the 'Target' section. 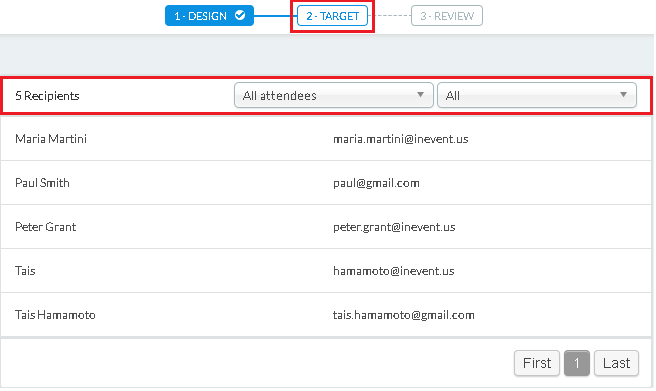 Using the drop down bars you can send to all attendees, all invitees or to any custom list already created. You can also select the group of people who will receive the email, such as participants with approved enrollment, denied enrollment, attendees present and absent, RSVP accepted, refused or waiting, and several other options. Next press the 'REVIEW' tab at the top of the screen . Here we can confirm the subject of the email and also set the time the email will be sent. You can schedule the specific date and time that you prefer to send the email. To do this click on the 'EDIT' button in the SEND EMAIL' field. After setting this information click on the blue 'SAVE' button and then press the green 'SEND' button. Important: All scheduled messages arescheduled (GMT -02:00) Sao Paulo, that is, your message needs to be scheduled considering this difference. In addition you can also create a trigger for your email, such as sending it as soon as someone responds to a specific form. To do this, click 'EDIT' in the 'TRIGGER' field. Such as how many e-mails you have sent, opened emails, emails that have bounced, or how many people have clicked on the link (if you have one). To do this go to 'PEOPLE' > 'COMMUNICATION' > 'EMAIL CREATOR'click on the 'SENT' tab in the general list of sent emails and then click on the 'blue icon' to the right side to open a specific emails statistics. After clicking on the blue icon you will see the statistics of the email. Then choose the email you wish to copy using the drop down bar and press the blue 'COPY' button. You can preview the email on a computer or on a smartphone, or you can send a preview to your email. 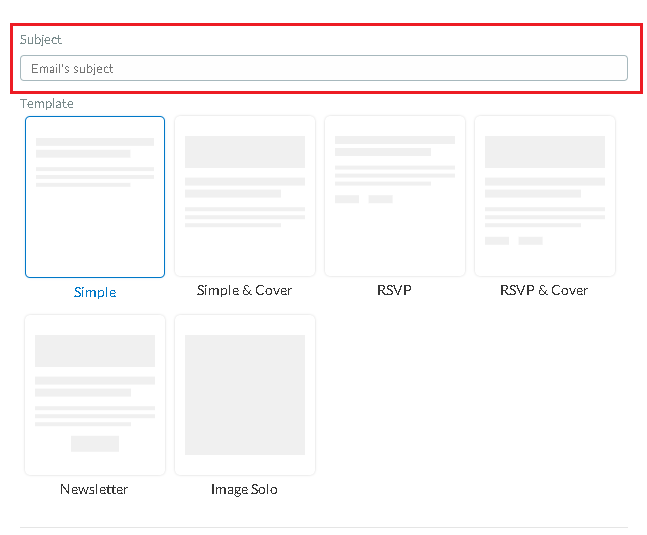 To preview you email press the orange'PREVIEW' button in the top right corner of the email creator page. Then press the blue 'SEND PREVIEW' button if you would like to send the preview email to yourself or another user. Choose the email address from the drop down bar and press the blue 'SEND PREVIEW' button. 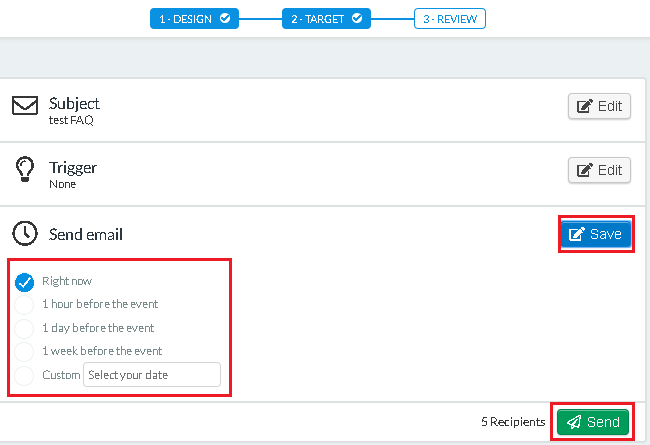 To remove an existing email, you must click 'EDIT'in the top right corner, then select the email y ticking the check box. Then click the 'REMOVE' button in the top menu on the right side. To finish editing press the 'END'button on the top right corner.